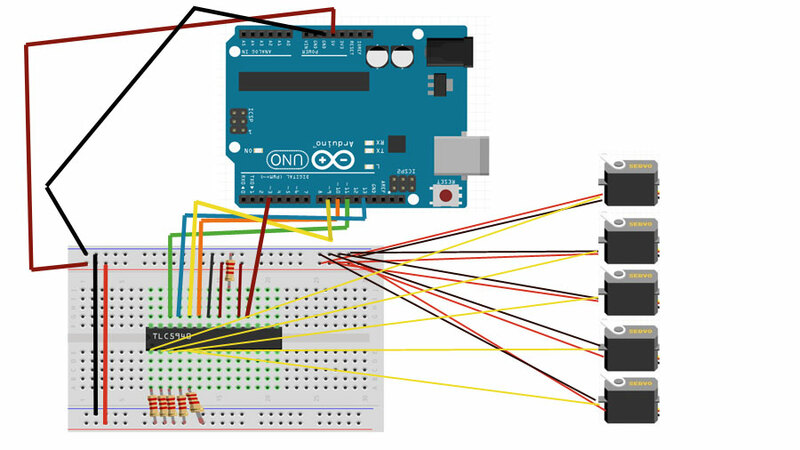 Tlc5940 is a 16 channel led driver. 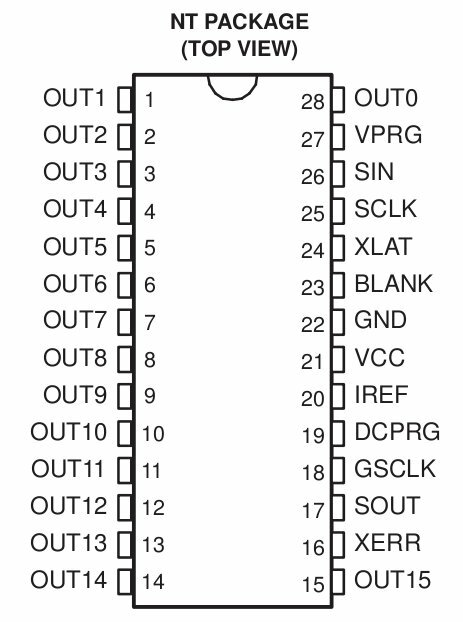 Since this IC has pwm control ability we can use this IC for controlling up to 16 servo(s). 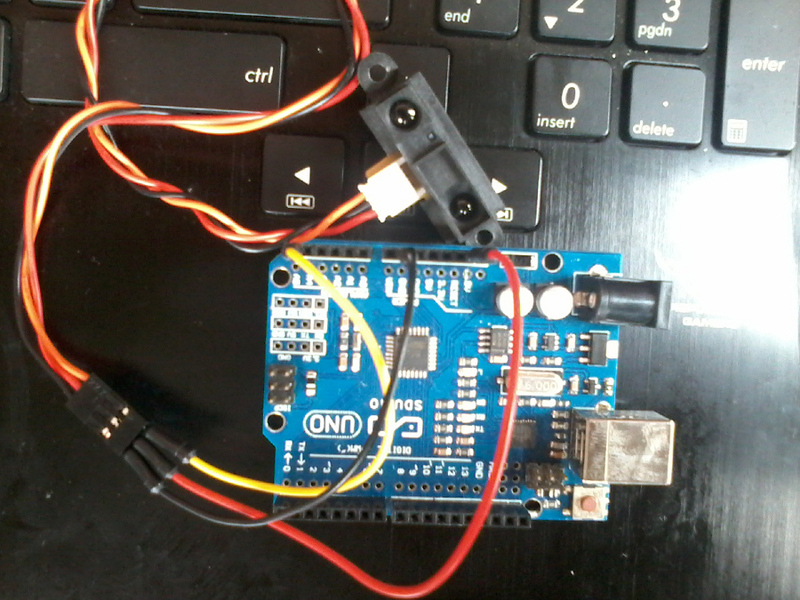 out0 – out15 pin will be used for pwm controller on each servo. 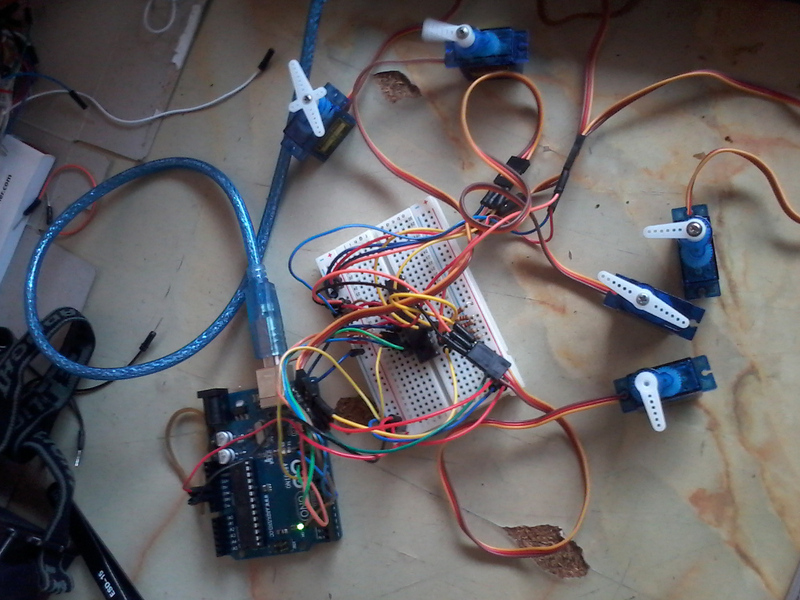 In this tutorial, we will control 5 motor servos using tlc5940 and arduino uno. 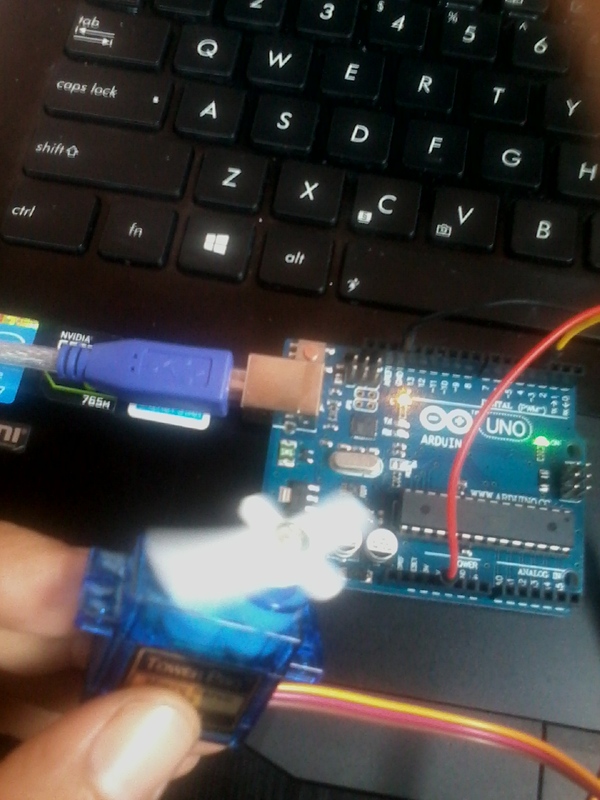 Actually It’s better to use external power source to power multiple servo. 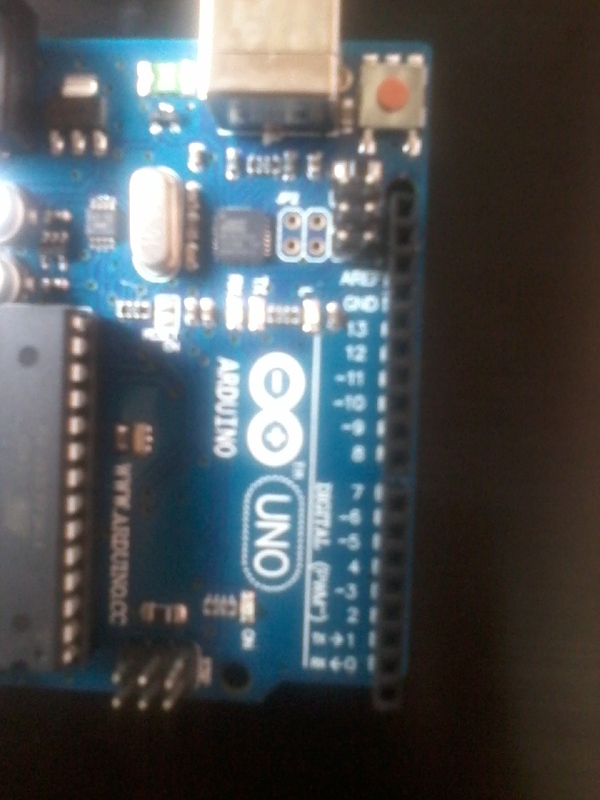 This entry was posted in IC TLC5940, Motor Servo, Tlc5940 on December 15, 2014 by sw0rdm4n. 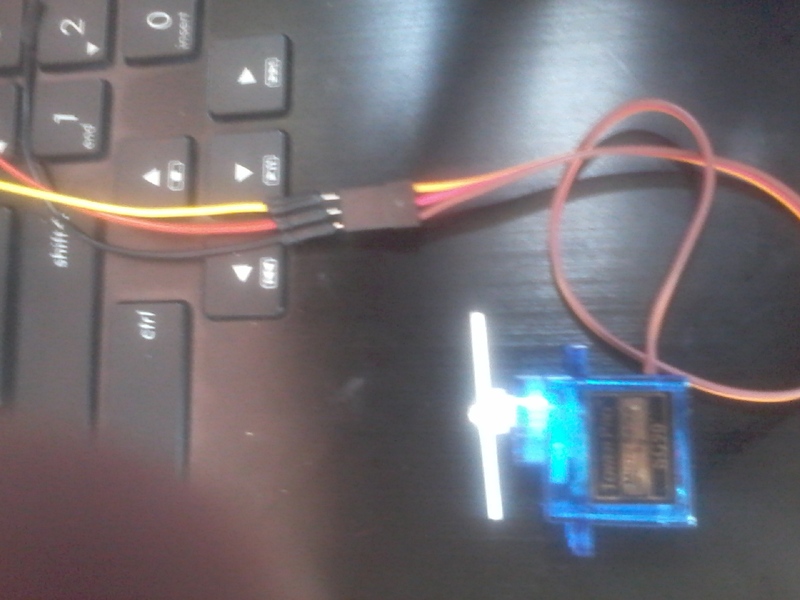 On successfull, if we put any object near the infrared at sensor val range 201-299 the rear leg servo will be moving, if we put any object at sensor val range above 300 the front leg servo will be moving. 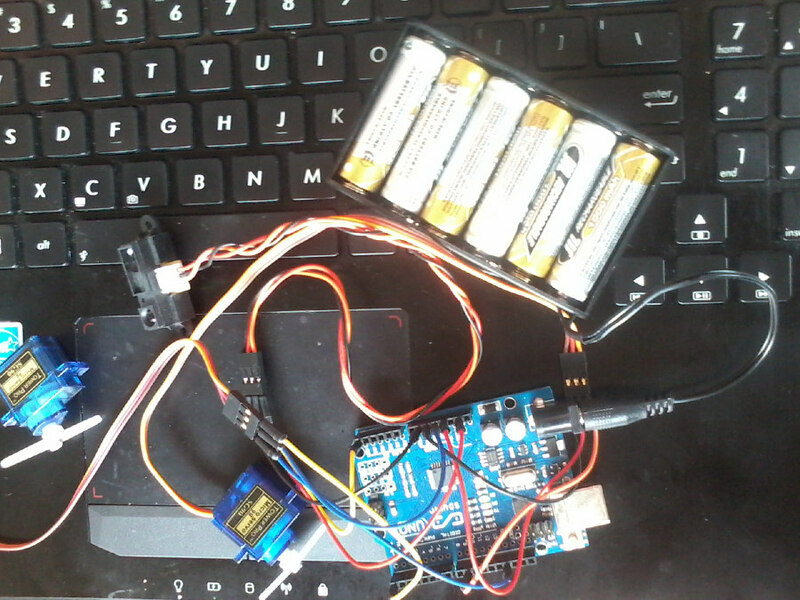 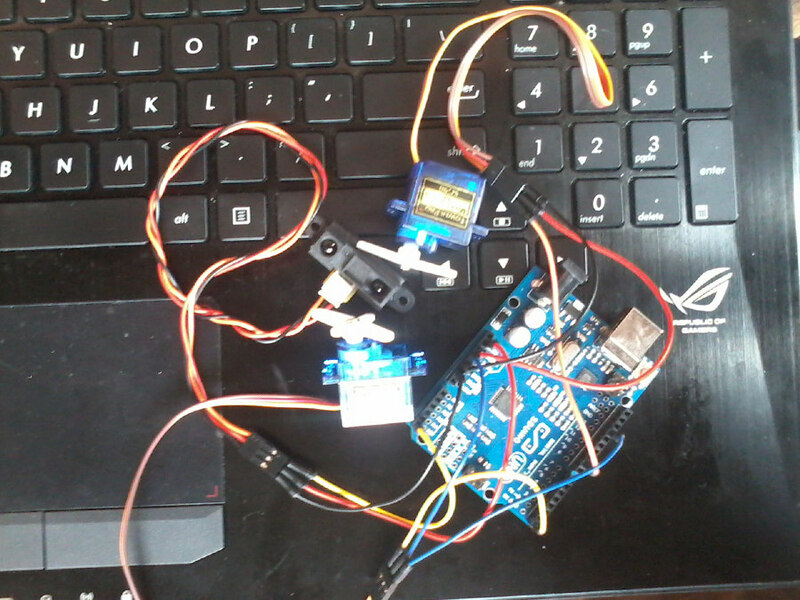 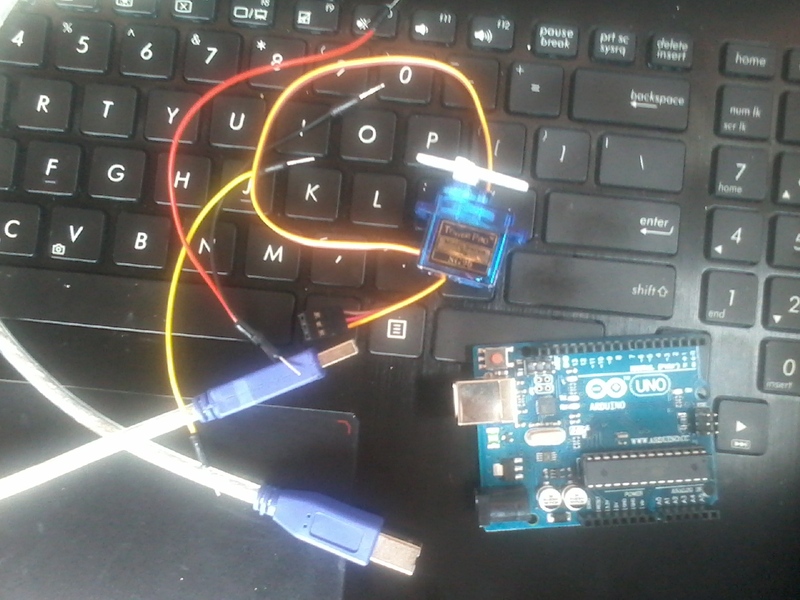 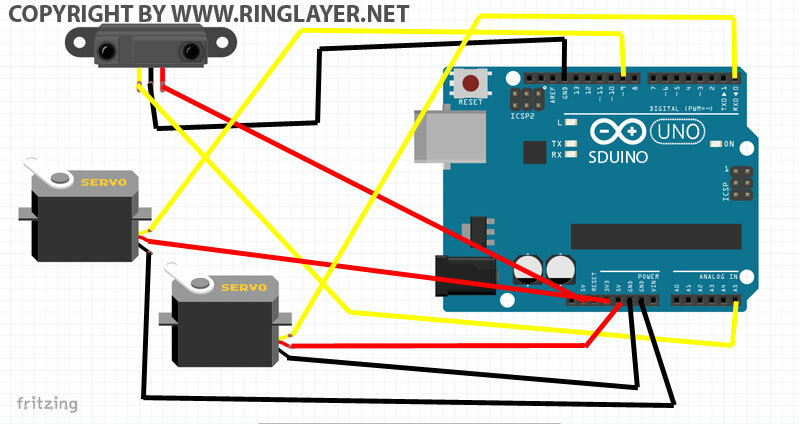 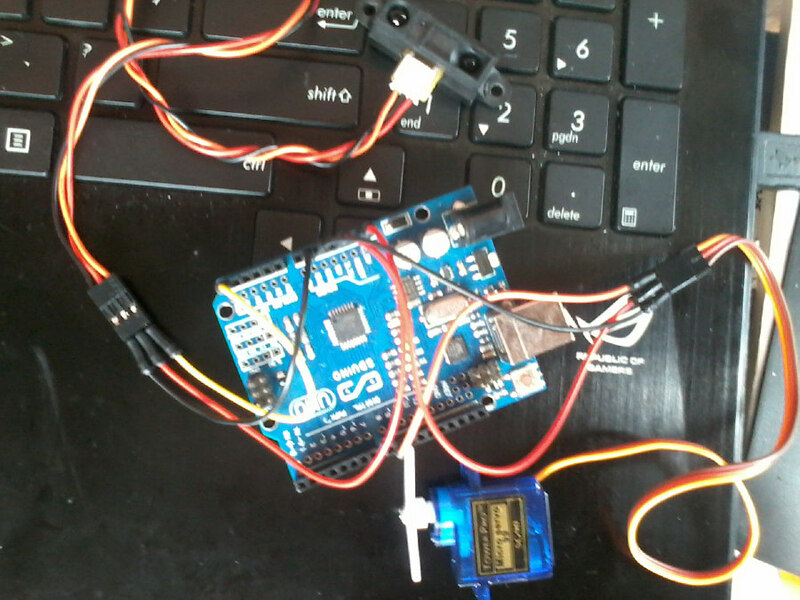 This entry was posted in Arduino, Infrared, Motor Servo, Robotic Sensor on June 23, 2014 by sw0rdm4n. 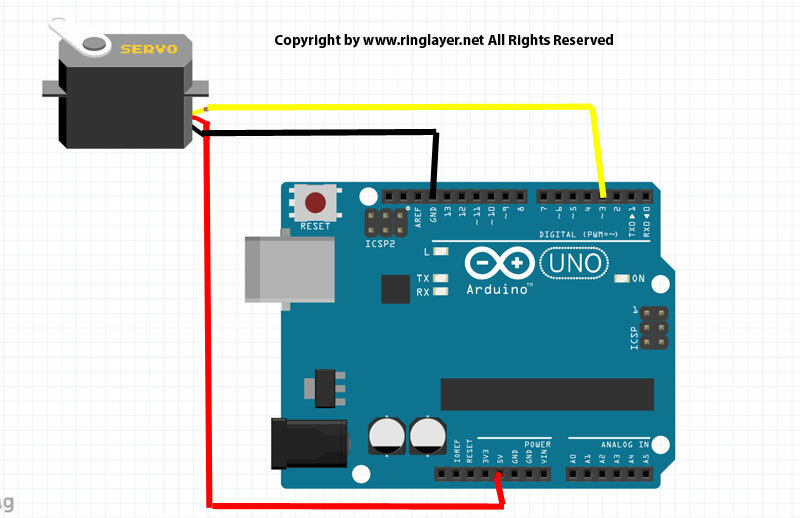 Untuk kabel kuning (sinyal / pulse) yang digunakan untuk mengatur posisi pada motor servo bisa dihubungkan dengan pin apa saja pada arduino yang digunakan untuk analog output. 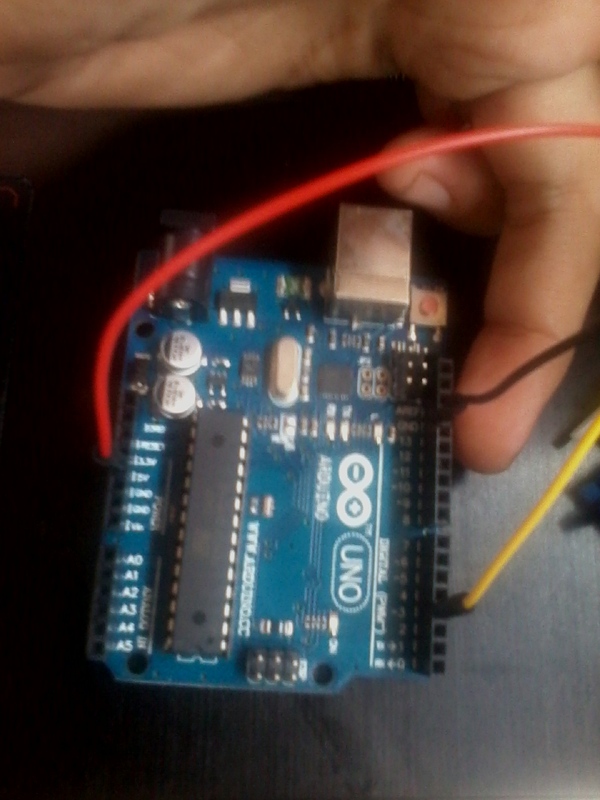 Di sini dari pin nomor 0 sampai nomor 13 bisa kita pakai untuk mengatur motor servo. 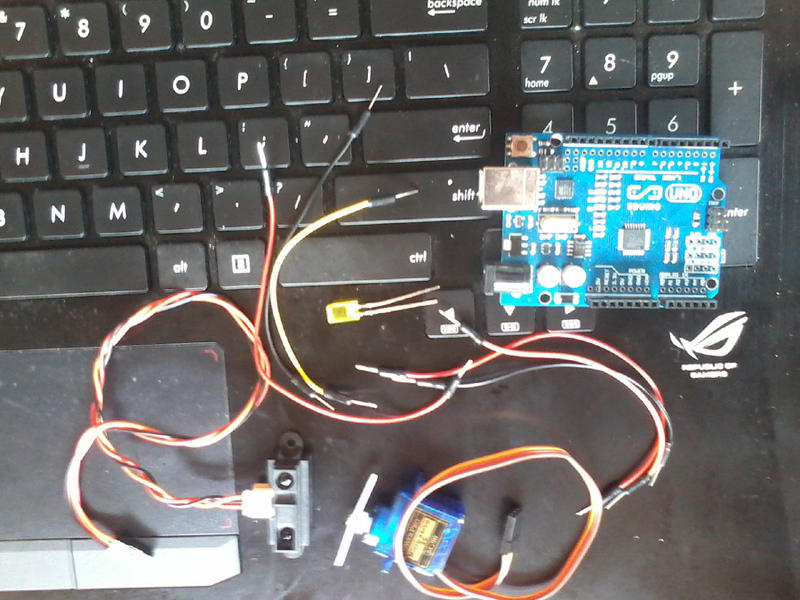 This entry was posted in Arduino, Bipedal, Microcontroller, Motor Servo on June 15, 2014 by sw0rdm4n.